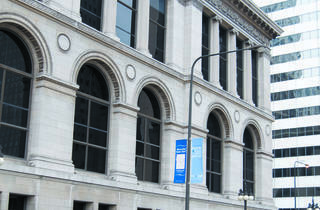 Ten tips on how to throw a philanthropic wedding in Chicago. If there’s one day you should just go for broke, it’s your wedding day. But sometimes an embarrassment of riches is just, well, embarrassing. Ease your conscience and do a little good in the world by incorporating philanthropy into your nuptials. 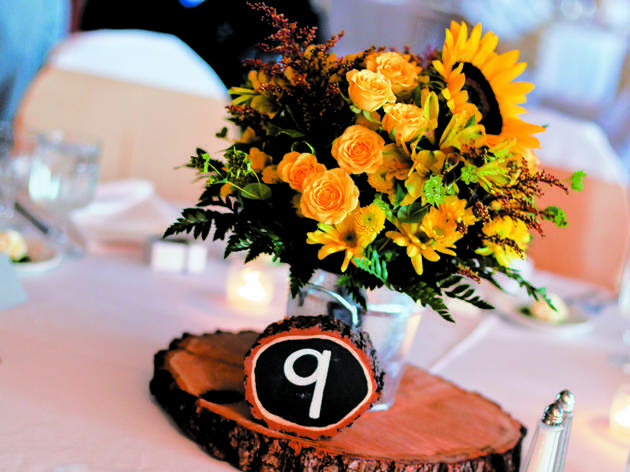 1 Tabletop centerpieces and other floral arrangements are an ideal donation for hospitals and senior centers. Ashford’s clients Ashley and Carmen Forte recently gave these sunny arrangements to Swedish Covenant Hospital, which distributed them to patient rooms. 2 It’s never too late for brides who didn’t plan for charitable giving. Donate your wedding dress to Brides Against Breast Cancer, an organization that uses the funds raised from selling donated dresses to grant wishes of breast cancer patients. Ashford (pictured) donated her own Romona Keveza dress. 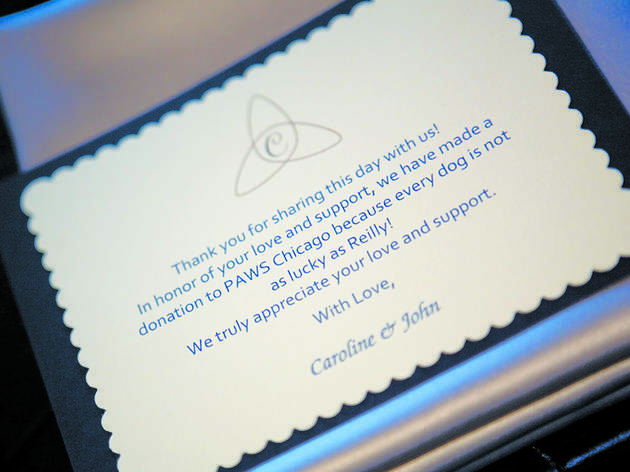 3 Win favor: Instead of giving guests a lame tchotchke, dole out personalized cards on each place setting informing guests that a donation was made in their names. “Keep the cause personal so it represents what you believe,” Ashford says. 4 Pick a giver: Seek out wedding vendors who donate a percentage of their proceeds. Ashford, for instance, donates 10 percent of every wedding she plans to one of three charities from which the couple can choose: Center on Halsted, Children’s Memorial Hospital and Chicago Canine Rescue. 5 Rather than line the pockets of yet another country club, choose a nonprofit venue to hold the event and know that the fee charged will go to good use. 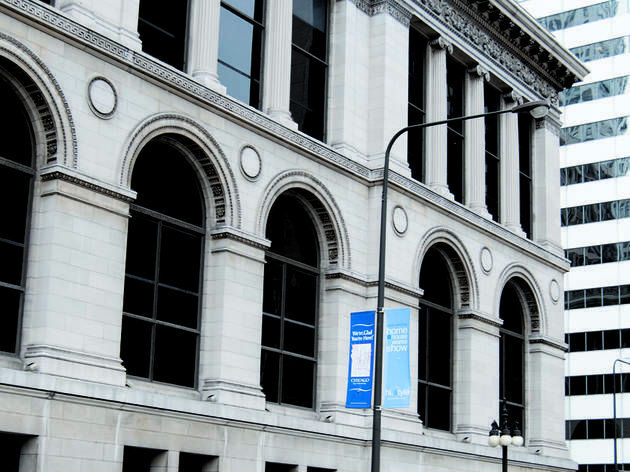 Consider historical societies, libraries and cultural institutions, such as the Chicago Cultural Center, which funnels event fees toward the building’s upkeep and its free public programming. 6 Top off the good-heartedness of your nuptials with an ecofriendly or service-oriented honeymoon. Ashford suggests going half and half—make half of the trip a splurge at a chic eco-chic resort such as Hotel Punta Islita in Costa Rita, and the other half a volunteer vacation nearby. 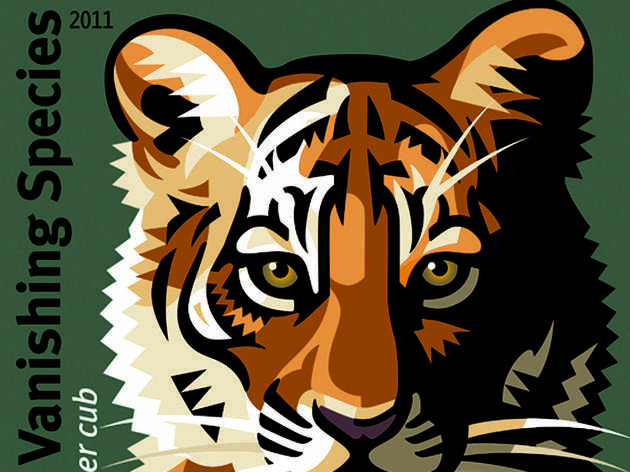 Check out Global Volunteers to locate a service program anywhere in the world. 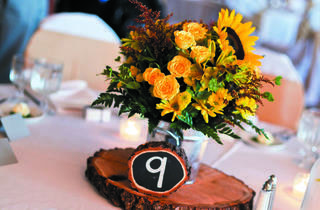 7 Set up a recycling center at your reception. 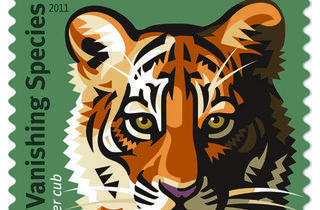 Encourage guests to toss in menus, programs and place cards. 8 Offer guests the option to make a donation to your favorite charity instead of purchasing that fondue set you will surely never use. Or set up a registry with I Do Foundation (idofoundation.org), which partners with popular registry sites like Crate & Barrel and Williams-Sonoma. A portion of all sales from your registry will go directly to your charity of choice. 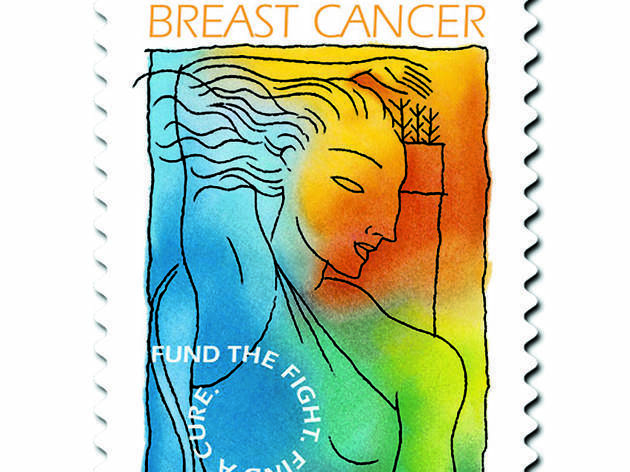 9 Pay a little extra for a snazzy postal stamp and the 11-cent surcharge will benefit one of two causes: the Fish and Wildlife Service or breast cancer research. The endangered species stamp is great for more earth-toned invites, while the breast cancer stamp will add a bright pop of color ideal for a spring or summer wedding. Visit shop.usps.com to buy them. 10 Localvores, take note. Coffee grinds and leftover food on plates can be scooped up and delivered to a local gardening center for composting. Ashford says this can be tricky for caterers, so be sure to go through the details with your planner beforehand so it’s carried out accordingly.